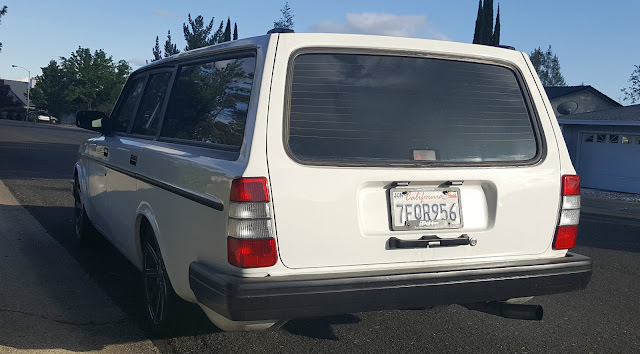 Finding a classic that is free from the biennial smog inspection requirements in California is simple, you need to stick to 1975 model year and earlier, which is tricky in the case of the 240 series Volvo because you only get one model year to choose from. However, today's example is the rare smog free example and has a few tricks up its sleeve. Find this 1975 Volvo 245 Turbo Wagon offered for $6,999 here on eBay buy-it-now located in Redding, CA. Tip from Andrey. The Volvo 200 series nomenclature breaks downs as follows: 2-- is the series, -4- is the number of cylinders in the engine, and --5 is the number of doors. It isn't as esoteric as Ferrari's cc-per-cylinder badging or as cheaty as BMW's current crop of numbers... 440i -- really BMW...really? 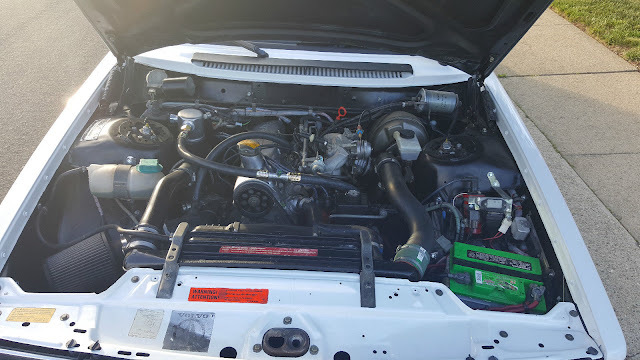 The '75 240 originally came with a K-Jetronic fed pushrod B20 (the OHC B21 redblock was first used in the '76 model year 240), but today's example is powered by a later redblock inline-4 with a turbocharger and electronic fuel injection. With an upgraded intercooler/turbo running 15 lbs of boost, and an M47 5-speed gearbox it should be decently quick for a brick. This isn't just a car with a peppy engine, the interior is in very good shape and everything works except for the speedo/odo according to the seller. 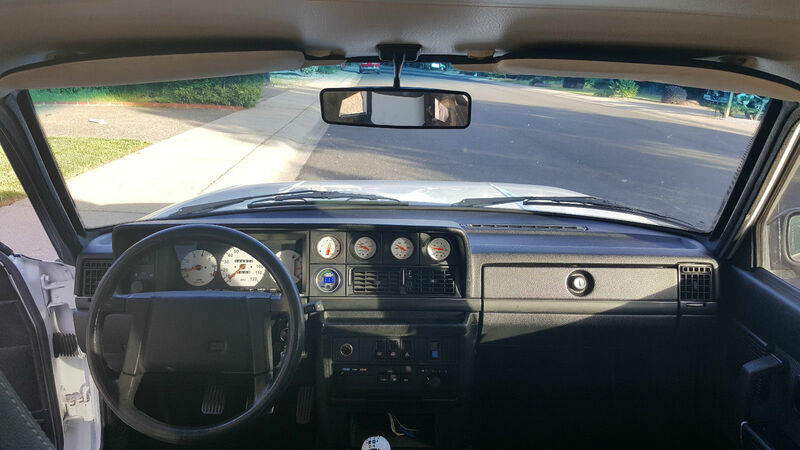 The dashboard has been changed out to the 1981-1993 style which has much more room for gauges compared to the original '75-'80 design. The exterior paint is described as "brighter than stock" and the side moldings were removed (holes plugged) and a flat black accent painted around the windows to mimic later cars. The only things 1975 here are the 1975 ID tag and the pretty common swap for the single headlight grill. The dash, smaller bumpers, black side trim, tail lights are all from a later car. This looks to be an early 80's on 245. I guess it could have all been changed, but the one-year only 75' wagon in excellent condition would be worth more stock to a collector. The incentive to change a 75 to look newer doesn't exist. The incentive to switch ID tags obviously exists. Agree with Tom. As a former 245 owner, I can say there is no way this is actually a '75. If you can live with that, though, there's something great to be had here. The cowl is correct for a pre-86. It could very well have started out as a '75 and had literally everything swapped over. The lack of rear bumper trim holes also indicate the body is pre-'83. The doors are definitely from a newer 240, double felt door seals and accordion boots over the wiring give that away. I would have to look at the car in person to make a final judgement but nothing in the photos indicate that this is a VIN-swapped car. literally the only time someone in NY can say, I'm glad I don't live in California. My '95 chevy doesn't have to pass emission, which consists of hooking up a a state scan tool and checking for codes. There's plenty of clearing codes, driving it for a day or 2 then getting back to the garage before the light pops on again. Good times. Oh and its a sweet brick. A little too nice for me, I wouldn't be able to throw the kids and the dog in the back without feeling bad. Ugh...I've been on a bit of a binge lately and then this shows up, just to tempt me into yet another questionable decision. Seriously, my neighbors have stopped talking to me. This one even has A/c, for Pete's sake.